2202001 Solar 010 Daewoo Solar 010 Crawler excavator Operation manual. Service manual. Spare parts catalog. Schematics. 2202002 Solar 015 Daewoo Solar 015 Crawler excavator Operation manual. Service manual. Spare parts catalog. Schematics. 2202003 Solar 015 Plus Daewoo Solar 015 Plus Crawler excavator Operation manual. Service manual. Spare parts catalog. Schematics. 2202004 Solar 018-VT Daewoo Solar 018-VT Crawler excavator Operation manual. Service manual. Spare parts catalog. Schematics. 2202005 Solar 030 Daewoo Solar 030 Crawler excavator Operation manual. Service manual. Spare parts catalog. Schematics. 2202006 Solar 030 Plus Daewoo Solar 030 Plus Crawler excavator Operation manual. Service manual. Spare parts catalog. Schematics. 2202007 Solar 035 Daewoo Solar 035 Crawler excavator Operation manual. Service manual. Spare parts catalog. Schematics. 2202008 Solar 055 Daewoo Solar 055 Crawler excavator Operation manual. Service manual. Spare parts catalog. Schematics. 2202009 Solar 055-V Plus Daewoo Solar 055-V Plus Crawler excavator Operation manual. Service manual. Spare parts catalog. Schematics. 2202010 Solar 70-III Daewoo Solar 70-III Crawler excavator Operation manual. Service manual. Spare parts catalog. Schematics. 2202011 Solar 75-V Daewoo Solar 75-V Crawler excavator Operation manual. Service manual. Spare parts catalog. Schematics. 2202012 Solar 80 Gold Daewoo Solar 80 Gold Crawler excavator Operation manual. Service manual. Spare parts catalog. Schematics. 2202013 Solar 130-2 Daewoo Solar 130-2 Crawler excavator Operation manual. Service manual. Spare parts catalog. Schematics. 2202014 Solar 130-III Daewoo Solar 130-III Crawler excavator Operation manual. Service manual. Spare parts catalog. Schematics. 2202015 Solar 130LC-III Daewoo Solar 130LC-III Crawler excavator Operation manual. Service manual. Spare parts catalog. Schematics. 2202016 Solar 130LC-V Daewoo Solar 130LC-V Crawler excavator Operation manual. Service manual. Spare parts catalog. Schematics. 2202017 Solar 140LC-V Daewoo Solar 140LC-V Crawler excavator Operation manual. Service manual. Spare parts catalog. Schematics. 2202018 Solar 150LC-7A Daewoo Solar 150LC-7A Crawler excavator Operation manual. Service manual. Spare parts catalog. Schematics. 2202019 Solar 150LC-7B Daewoo Solar 150LC-7B Crawler excavator Operation manual. Service manual. Spare parts catalog. Schematics. 2202020 Solar 150LC-V Daewoo Solar 150LC-V Crawler excavator Operation manual. Service manual. Spare parts catalog. Schematics. 2202021 Solar 150LC-V - EDSA Daewoo Solar 150LC-V - EDSA Crawler excavator Operation manual. Service manual. Spare parts catalog. Schematics. 2202022 Solar 155LC-V Daewoo Solar 155LC-V Crawler excavator Operation manual. Service manual. Spare parts catalog. Schematics. 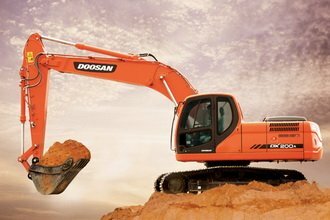 2202023 Solar 155LC-V - EDSA Daewoo Solar 155LC-V - EDSA Crawler excavator Operation manual. Service manual. Spare parts catalog. Schematics. 2202024 Solar 170-III Daewoo Solar 170-III Crawler excavator Operation manual. Service manual. Spare parts catalog. Schematics. 2202025 Solar 170LC-V Daewoo Solar 170LC-V Crawler excavator Operation manual. Service manual. Spare parts catalog. Schematics. 2202026 Solar 175LC-V Daewoo Solar 175LC-V Crawler excavator Operation manual. Service manual. Spare parts catalog. Schematics. 2202027 Solar 220LC-III Daewoo Solar 220LC-III Crawler excavator Operation manual. Service manual. Spare parts catalog. Schematics. 2202028 Solar 220LC-V Daewoo Solar 220LC-V Crawler excavator Operation manual. Service manual. Spare parts catalog. Schematics. 2202029 Solar 220N-V Daewoo Solar 220N-V Crawler excavator Operation manual. Service manual. Spare parts catalog. Schematics. 2202030 Solar 225LC-7 Daewoo Solar 225LC-7 Crawler excavator Operation manual. Service manual. Spare parts catalog. Schematics. 2202031 Solar 225LC-7A Daewoo Solar 225LC-7A Crawler excavator Operation manual. Service manual. Spare parts catalog. Schematics. 2202032 Solar 225LC-V Daewoo Solar 225LC-V Crawler excavator Operation manual. Service manual. Spare parts catalog. Schematics. 2202033 Solar 225NLC-V Daewoo Solar 225NLC-V Crawler excavator Operation manual. Service manual. Spare parts catalog. Schematics. 2202034 Solar 230LC-V Daewoo Solar 230LC-V Crawler excavator Operation manual. Service manual. Spare parts catalog. Schematics. 2202035 Solar 250LC-V Daewoo Solar 250LC-V Crawler excavator Operation manual. Service manual. Spare parts catalog. Schematics. 2202036 Solar 255LC-V Daewoo Solar 255LC-V Crawler excavator Operation manual. Service manual. Spare parts catalog. Schematics. 2202037 Solar 280LC-III Daewoo Solar 280LC-III Crawler excavator Operation manual. Service manual. Spare parts catalog. Schematics. 2202038 Solar 290LC-V Daewoo Solar 290LC-V Crawler excavator Operation manual. Service manual. Spare parts catalog. Schematics. 2202039 Solar 300LC-7A Daewoo Solar 300LC-7A Crawler excavator Operation manual. Service manual. Spare parts catalog. Schematics. 2202040 Solar 300LC-V Daewoo Solar 300LC-V Crawler excavator Operation manual. Service manual. Spare parts catalog. Schematics. 2202041 Solar 330-III Daewoo Solar 330-III Crawler excavator Operation manual. Service manual. Spare parts catalog. Schematics. 2202042 Solar 330LC-III Daewoo Solar 330LC-III Crawler excavator Operation manual. Service manual. Spare parts catalog. Schematics. 2202043 Solar 330LC-V Daewoo Solar 330LC-V Crawler excavator Operation manual. Service manual. Spare parts catalog. Schematics. 2202044 Solar 340LC-7 Daewoo Solar 340LC-7 Crawler excavator Operation manual. Service manual. Spare parts catalog. Schematics. 2202045 Solar 340LC-V Daewoo Solar 340LC-V Crawler excavator Operation manual. Service manual. Spare parts catalog. Schematics. 2202046 Solar 400LC-III Daewoo Solar 400LC-III Crawler excavator Operation manual. Service manual. Spare parts catalog. Schematics. 2202047 Solar 400LC-V Daewoo Solar 400LC-V Crawler excavator Operation manual. Service manual. Spare parts catalog. Schematics. 2202048 Solar 420LC-V Daewoo Solar 420LC-V Crawler excavator Operation manual. Service manual. Spare parts catalog. Schematics. 2202049 Solar 450-III Daewoo Solar 450-III Crawler excavator Operation manual. Service manual. Spare parts catalog. Schematics. 2202050 Solar 450LC-V Daewoo Solar 450LC-V Crawler excavator Operation manual. Service manual. Spare parts catalog. Schematics. 2202051 Solar 470LC-V Daewoo Solar 470LC-V Crawler excavator Operation manual. Service manual. Spare parts catalog. Schematics. 2202052 Solar 500LC-V Daewoo Solar 500LC-V Crawler excavator Operation manual. Service manual. Spare parts catalog. Schematics. 2202101 Solar 55W-V Daewoo Solar 55W-V Wheel Excavator. Operation manual. Service manual. Spare parts catalog. Schematics. 2202102 Solar 55W-V Plus Daewoo Solar 55W-V Plus Wheel Excavator. Operation manual. Service manual. Spare parts catalog. Schematics. 2202103 Solar 130W-III Daewoo Solar 130W-III Wheel Excavator. Operation manual. Service manual. Spare parts catalog. Schematics. 2202104 Solar 130W-V Daewoo Solar 130W-V Wheel Excavator. Operation manual. Service manual. Spare parts catalog. Schematics. 2202105 Solar 140W-V Daewoo Solar 140W-V Wheel Excavator. Operation manual. Service manual. Spare parts catalog. Schematics. 2202106 Solar 140W-V RAIL WAY Daewoo Solar 140W-V RAIL WAY Wheel Excavator. Operation manual. Service manual. Spare parts catalog. Schematics. 2202107 Solar 160W-V Daewoo Solar 160W-V Wheel Excavator. Operation manual. Service manual. Spare parts catalog. Schematics. 2202108 Solar 170W-III Daewoo Solar 170W-III Wheel Excavator. Operation manual. Service manual. Spare parts catalog. Schematics. 2202109 Solar 170W-V Daewoo Solar 170W-V Wheel Excavator. Operation manual. Service manual. Spare parts catalog. Schematics. 2202110 Solar 180W-V Daewoo Solar 180W-V Wheel Excavator. Operation manual. Service manual. Spare parts catalog. Schematics. 2202111 Solar 200W-III Daewoo Solar 200W-III Wheel Excavator. Operation manual. Service manual. Spare parts catalog. Schematics. 2202112 Solar 200W-V Daewoo Solar 200W-V Wheel Excavator. Operation manual. Service manual. Spare parts catalog. Schematics. 2202113 Solar 210W-V Daewoo Solar 210W-V Wheel Excavator. Operation manual. Service manual. Spare parts catalog. Schematics.